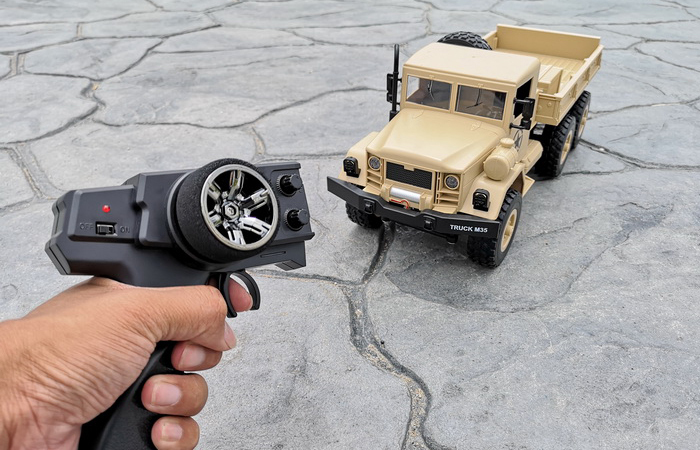 RC Crawler Car, 2.4GHz Radio Remote Control 6 Wheel Drive M35 Military Truck Scale Model. 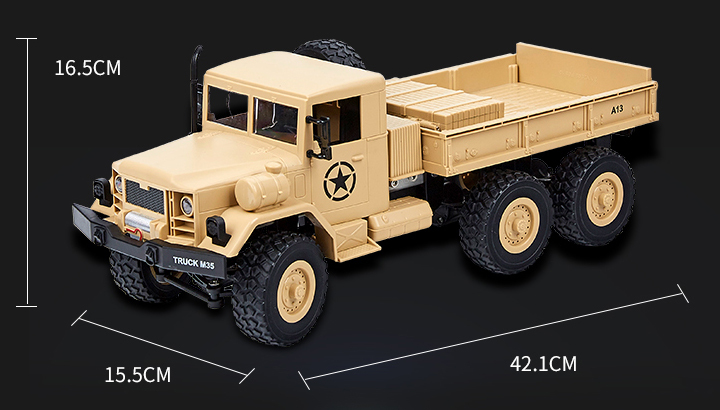 - Size: 42.1cm x 16.5cm x 15.5cm ( cm = Centimeters). 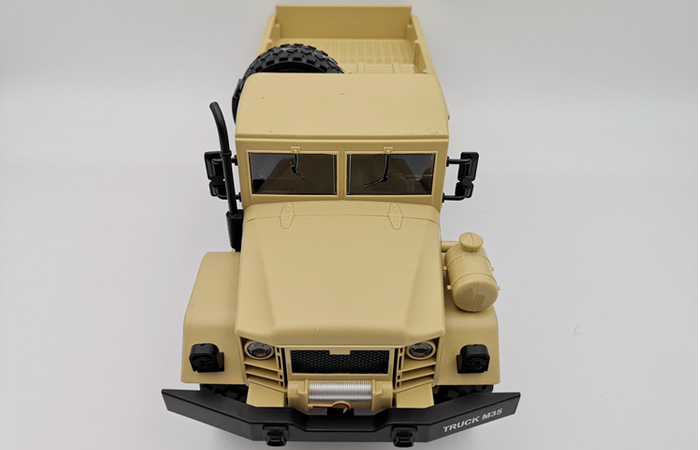 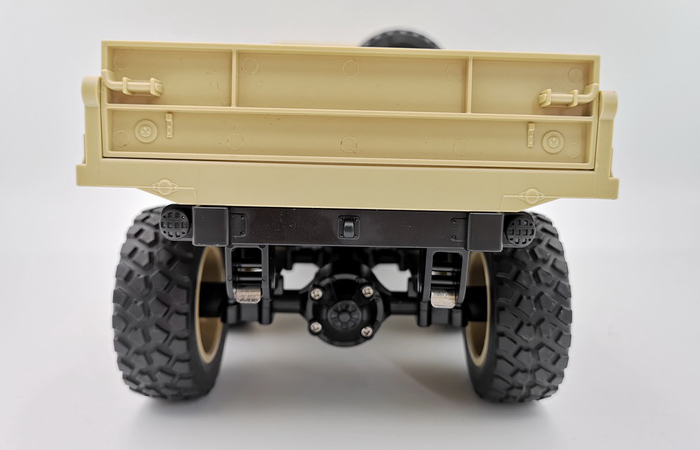 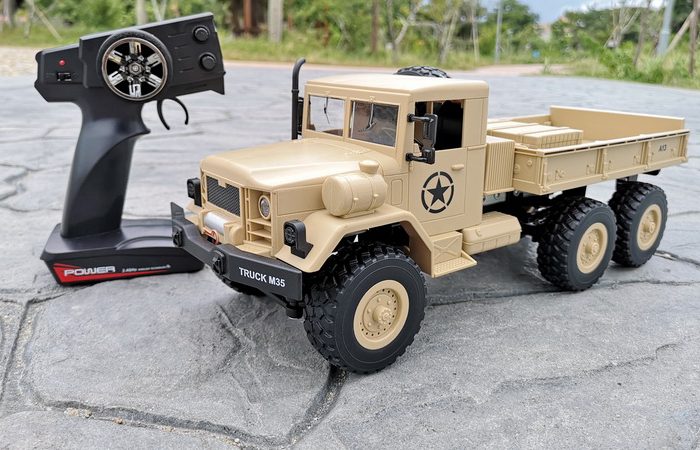 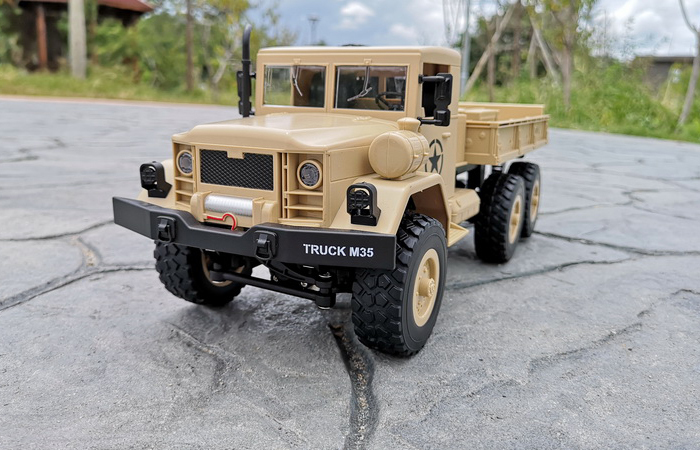 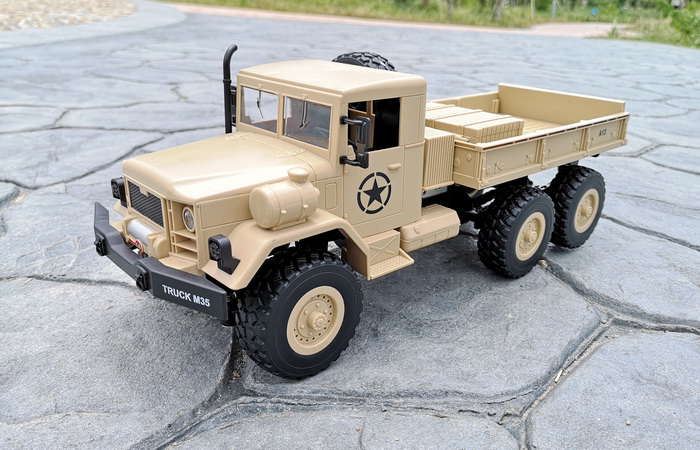 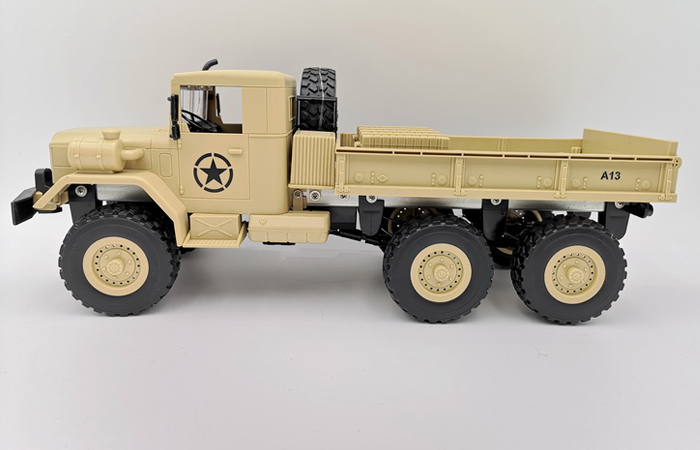 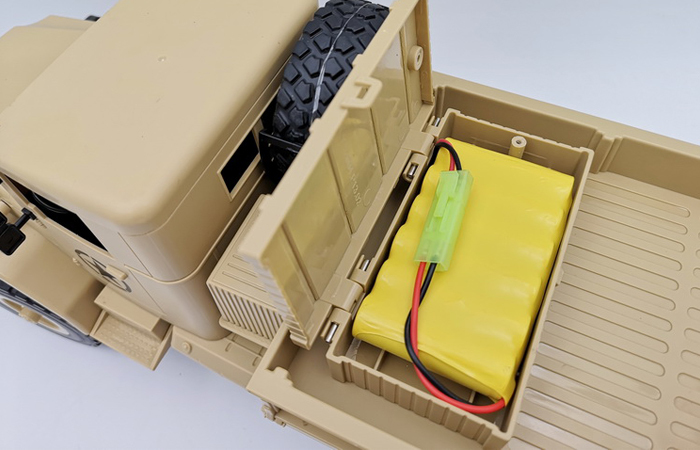 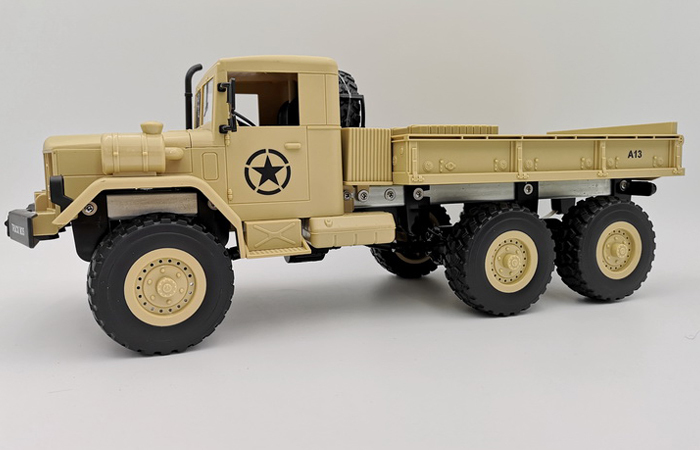 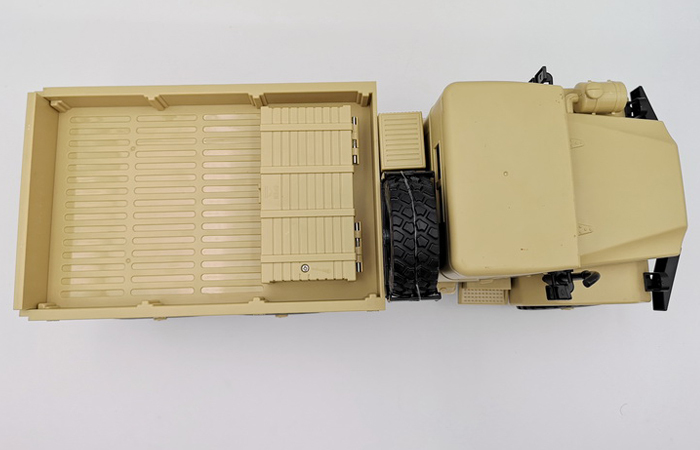 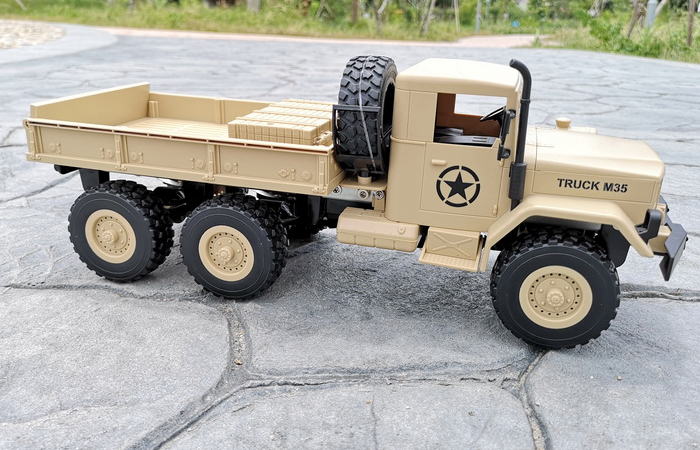 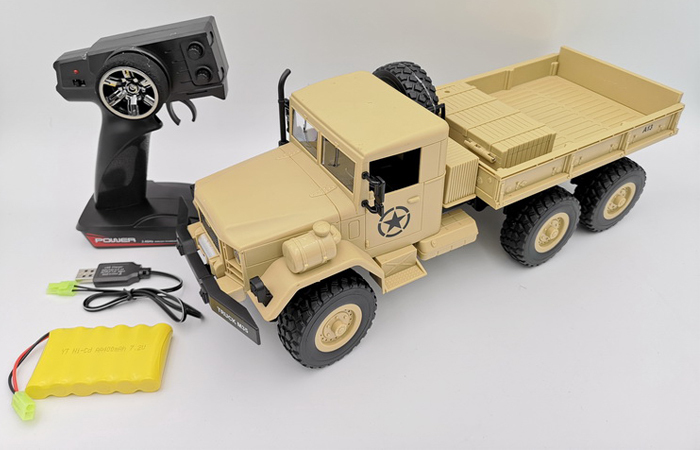 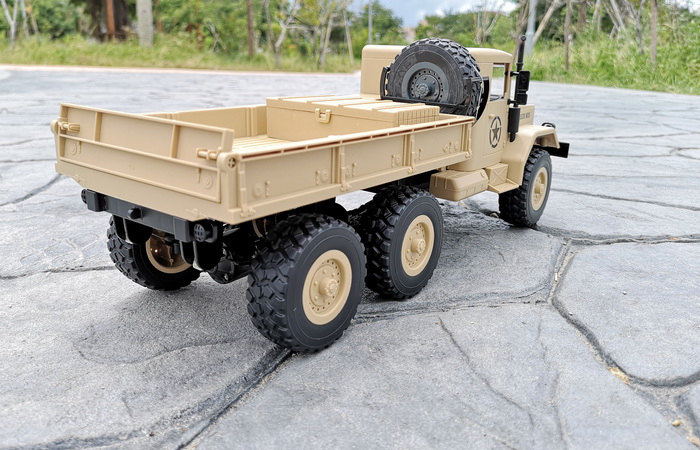 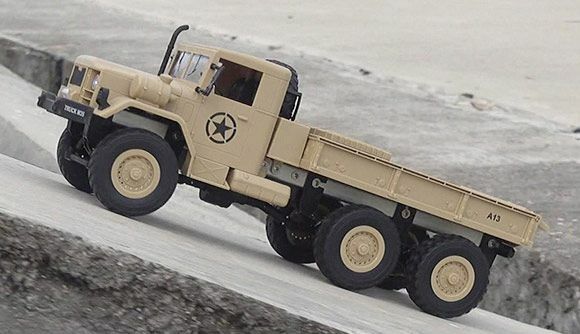 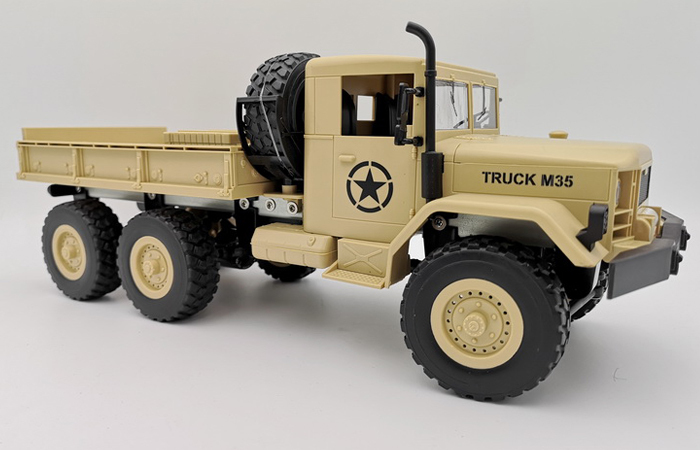 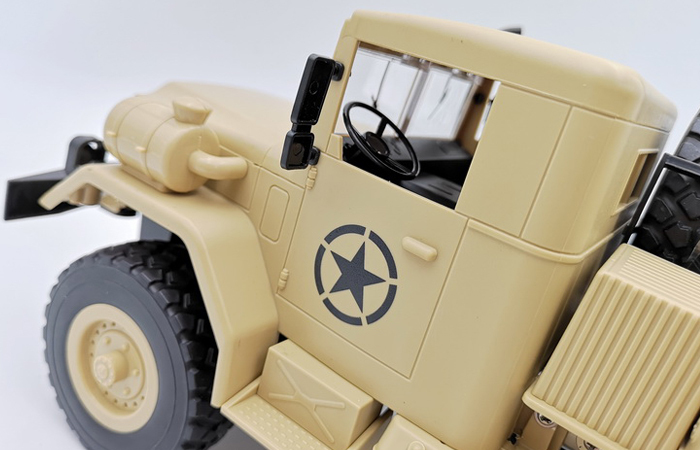 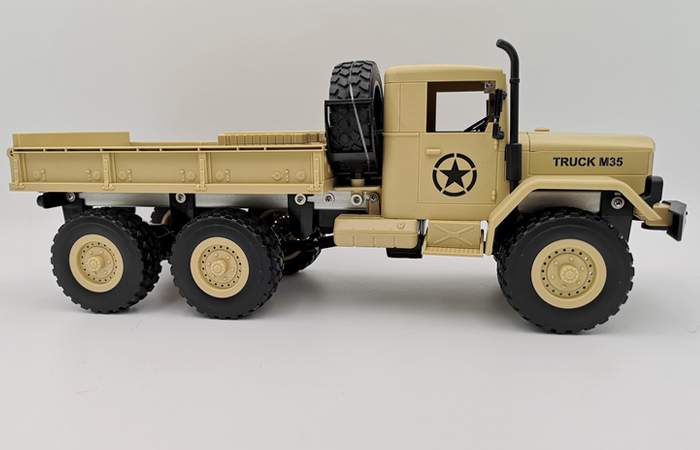 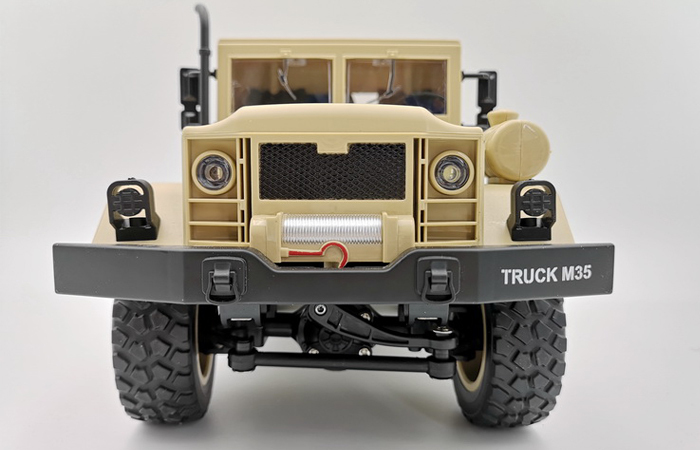 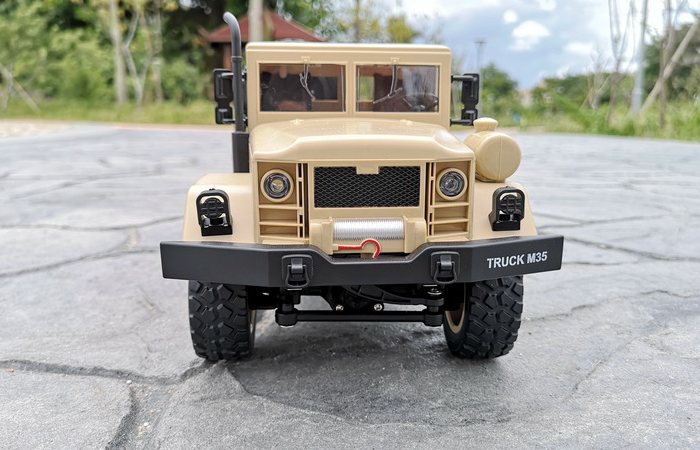 - 1 x 6X6 2.4GHz Radio Remote Control M35 Military Truck.